Isabella was the first child of Mary and Thomas, born about 1864 (birth certificate number 1864/7778) in the Kaipara area. Isabella Russell in later life. Not much is known of her childhood or early life but we could assume it was much the same as children at that time. She married Tika (Richard) Maynard in 1890 (marriage certificate number 1890/2138) at the age of about 23. The surname of Johnson appears on the marriage certificate. I am not sure if Isabella or Richard knew that they were related, sharing the same Grandfather (John James Stanaway), or it may be how they met in the first place. The relationship though is legal. They had three children Charles Sydney (1891), Lionel Richard (1893/4) and Mary Lenore (Girlie) (1896). Richard dies in January 1897 of typhoid fever aged 29, leaving Isabella with three young children, after only 7 years of marriage. In 1899 Isabella marries Frederick Mitchell Stanaway at the Registrar’s Office in Dargaville (Certificate number 1899/443). Again I am not sure if Isabella or Frederick knew that they were related, again sharing the same Grandfather (John James Stanaway), or it may be how they met in the first place. The relationship again is legal. I believe it is worth mentioning information on two of Isabella’s children Charles and Lionel at this point. Both brothers enlisted to fight in WW1 near the beginning of the War, both left New Zealand together in the same company in January 1916. Rifleman Sidney Maynard, of the Rifle Brigade, who has been reported wounded, is the eldest son of Mrs. F. Stanaway of Aratapu, and of the late Mr. Richard Maynard, who is a well-known footballer, of Auckland and Gisborne, and who was a member of the Maori football team which visited England in the year 1888. Rifleman Maynard, who was born in Auckland, was 24 years of age at the time of his enlistment, He has seen service in Egypt, as well as in France. He, like his father, was a well-known footballer, and was generally found amongst the representative teams of the Northern Wairoa Rugby Association. He was employed on the local river steamers. His younger brother is also serving at the front, and when last heard of had been admitted to hospital suffering from shock. THE MILITARY MEDAL. AUCKLANDERS DECORATED. Lance-Corporal J. W. McCullagh, Private John Owen, Sergeant Lionel Maynard, Private Robert H. Bullen. Sergeant Maynard is a son of Mrs. Isabella Stanaway, of Summer Street, Ponsonby, and the late Mr. Richard Maynard, of Gisborne. He enlisted from Aratapu, and left with the reinforcements of January, 1916. He has taken part in every battle in which the New Zealand troops have been engaged in France, and, so far, has escaped scathless. Private letters state that at Messines every man in his platoon, senior to himself, was shot down, and young Maynard, then a corporal, took command and led the platoon to its objective. His elder brother, Sydney, is also in the firing line, and was wounded at the Somme. Isabella lives in Aratapu up until about 1920, when they move to Ponsonby in Auckland. On 15 August 1920 Frederick dies of Pneumonia – for about 5 days and cardiac failure, at the Auckland Hospital, another victim of the “Spanish flue”. 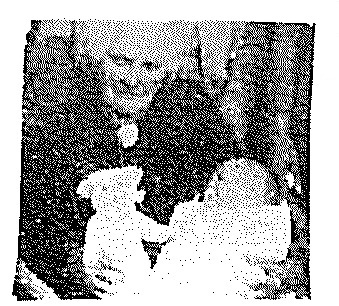 We have no information on Isabella and her life other than she remains in Auckland and does not remarry. 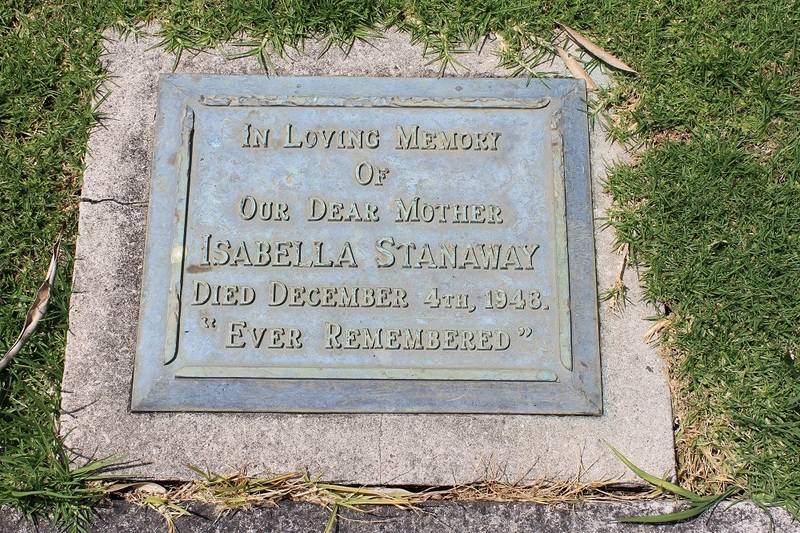 Isabella passes away on 4 December 1948 aged 85. She is buried in the Waikaraka Cemetery in Area 5 Block A lot number 843. (The cemetery records state her age as 82, but the birth was only listed as “about”). Isabella’s plot at Waikaraka Cemetery.